One of the questions we get frequently is regarding the popularity of social media for different types of life scientists. While it’s true that some computer-intensive fields such as bioinformatics lend themselves to more social media savviness, we find that many different types of life scientists participate. We performed a Social Media Compass™ Twitter analysis (PDF) on the recent American Chemical Society meeting in Denver and found that chemists are very interested in using new media to communicate. As we covered in a recent post about life science hashtags, they can be used to track events, and we followed the ACS Fall 2011 meeting using the #acsdenver hashtag. There were more than 2000 Tweets from 466 Twitterers from July 30-September 17th, and with 12,000 in attendance, less than 4% of the attendees Tweeted (with the caveat that some Tweets come from people who weren’t at the conference). This is in the normal range for what we see at life science conferences, and we also seen many researchers in ‘listening’ mode, so more likely participated by watching. Also, the Tweets and links will have an impact on search engine results for months or perhaps even years. Our Social Media Compass Twitter Analysis (PDF) tracks the top Twitterers, links, and hashtags, and gives our analysis of the event. Life scientists and companies can use the report for a top level summary of the meeting, to find online influencers, and to follow up on detailed talks and links shared at the meeting. See more details about our Compass reports here. 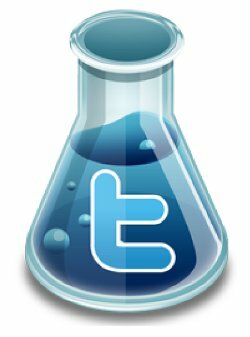 The American Chemical Society has been instrumental in the adoption of social media by chemists. The most Tweeted link was the live Ustream coverage (now recorded) of some aspects of the event. The organization of a ‘Tweetup’ where Twitterers can meet informally, as well as the deposition of some of the talks on a Lanyard site also contribute to a more socially open atmosphere, and we commend the meeting for creating it. Chemists are also realizing the challenges that face their industry, and are using social media, including Twitter conversations, to mobilize and affect change. One issue is the fact that ‘chemical’ seems to have become a dirty word in society, and scientists are trying to combat this with new terms that could be used. Chemist employment is another area of much discussion as the job market has seen better days, and ACS is beginning an initiative to encourage entrepreneurship in the industry. Again, the ACS should be applauded for their efforts, as they’ve also implemented the “International Year of Chemistry” and “National Chemistry Week” (this week) campaigns. Other people and entities are also chiming in with resources and applications, with a ‘sub’ hashtag #CINF being used to share web 2.0 chemical information resources such as PubChem3D. The only brands represented in the top 20 Twitterers (not all data shown) were @ChemistryWorld, @J_A_C_S, and @NatureChemistry, and this represents a major opportunity for chemical providers. The amount of information shared on Twitter for the ACS meeting shows a willingness by chemists to participate in new media, and the information will become more important as the volume increases. We can provide additional information about this meeting or any life science event listed on our calendar, as well as many other types of topics, for more information contact us. Why does the PDF have the claim “announcement of ‘Chemistry Open’ the first open access chemistry journal”? What about the Beilstein and ChemistryCentral journals?